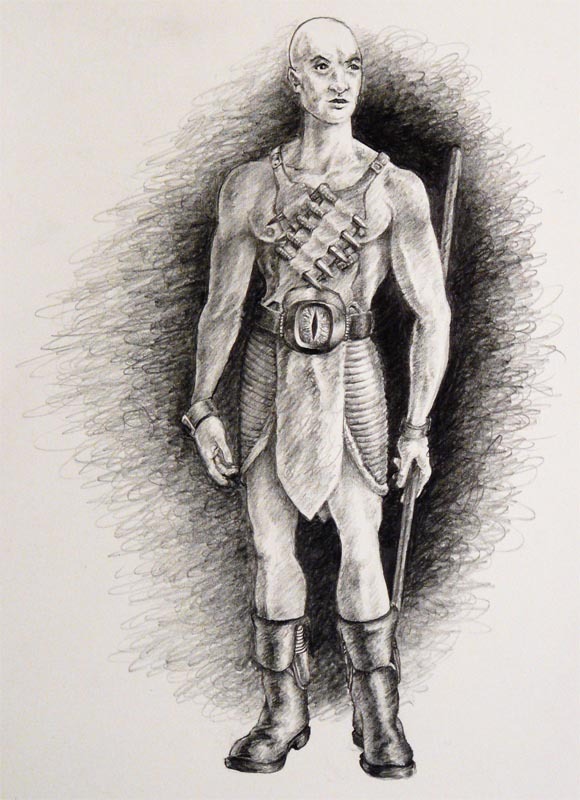 Most of this was drawn by Dwayne Adams for Broke Guys Productions (Jeremy Hicks; Barry Hayes). 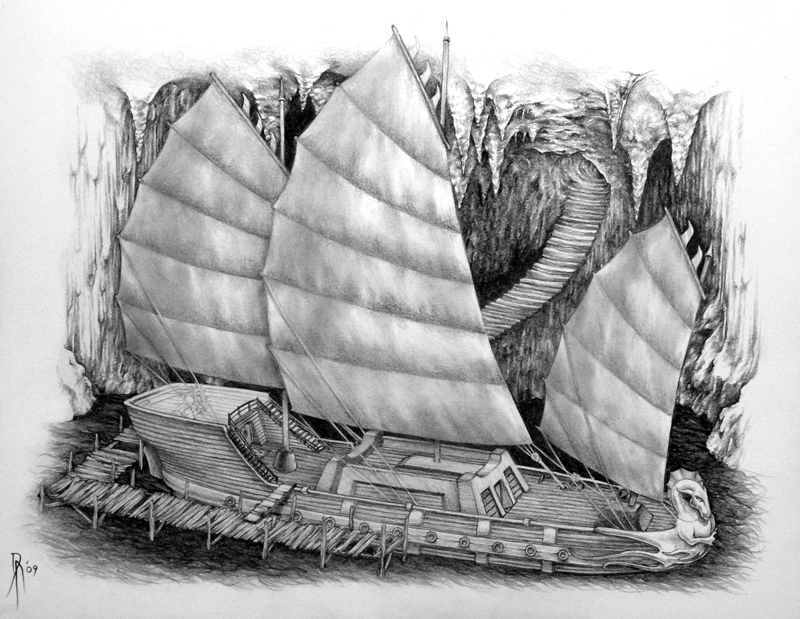 The map of the Nine Hells of Faltyr was drawn by Hanna Oxford based on a design by Jeremy Hicks. 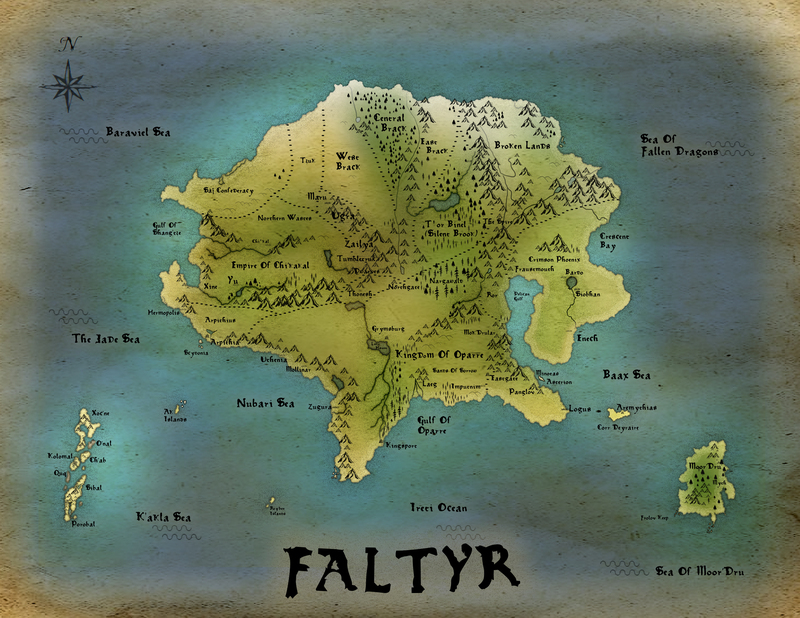 The revised maps of Faltyr were drawn by Maria Gandolfo based on maps drawn and designed by Jeremy Hicks and Barry Hayes. These images have been provided for your viewing pleasure and to help visually orient you to the wild world of Faltyr. Please do NOT use these images without the expressed written consent of Mr. Hicks and Mr. Hayes. All images copyrighted by them. Revised map of Faltyr (particularly one hemisphere of the planet). Kaladimus Dor, The Master of Disaster. 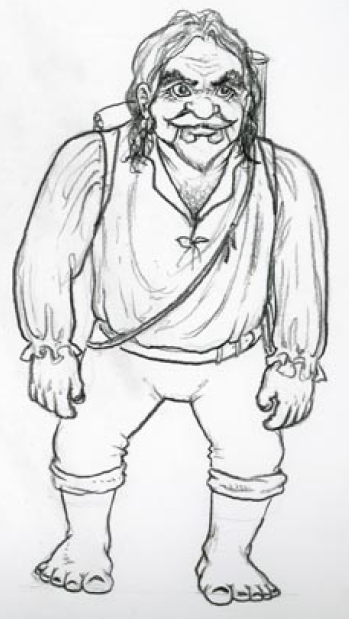 Gneut, Captain of the Nightsfall. 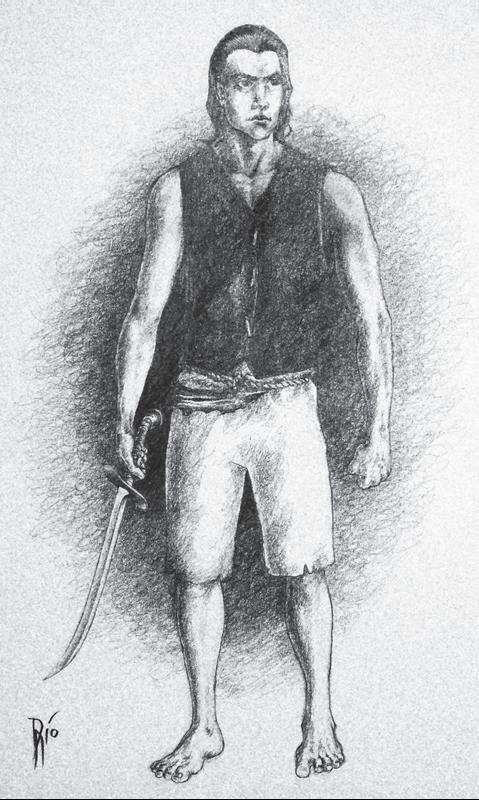 Spensir, First Mate on the Nightsfall. 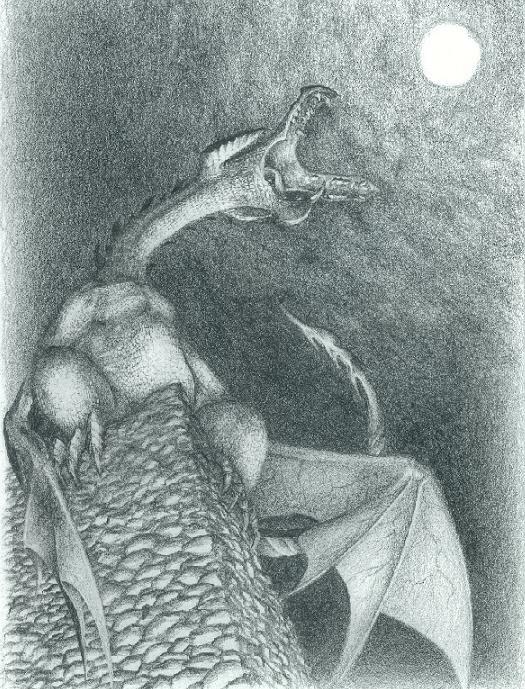 The Wyvern, winged antagonist and alpha predator. 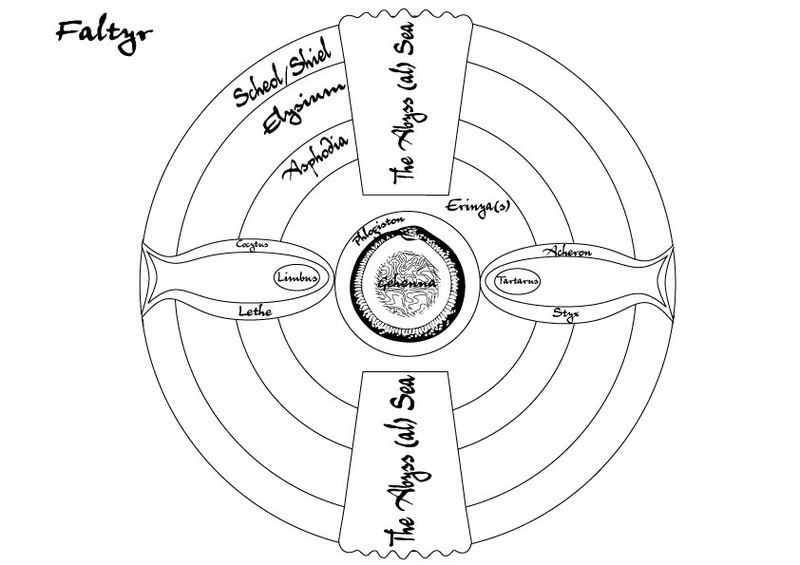 Cosmological map of Faltyr’s Nine Hells.